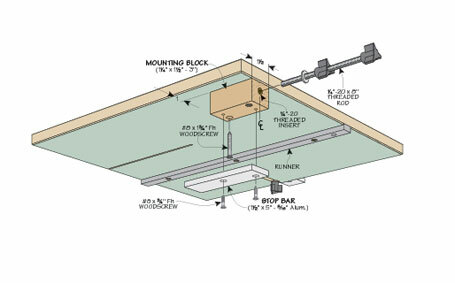 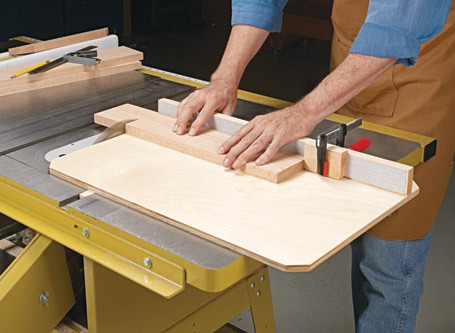 This jig’s base is made from phenolic plywood. 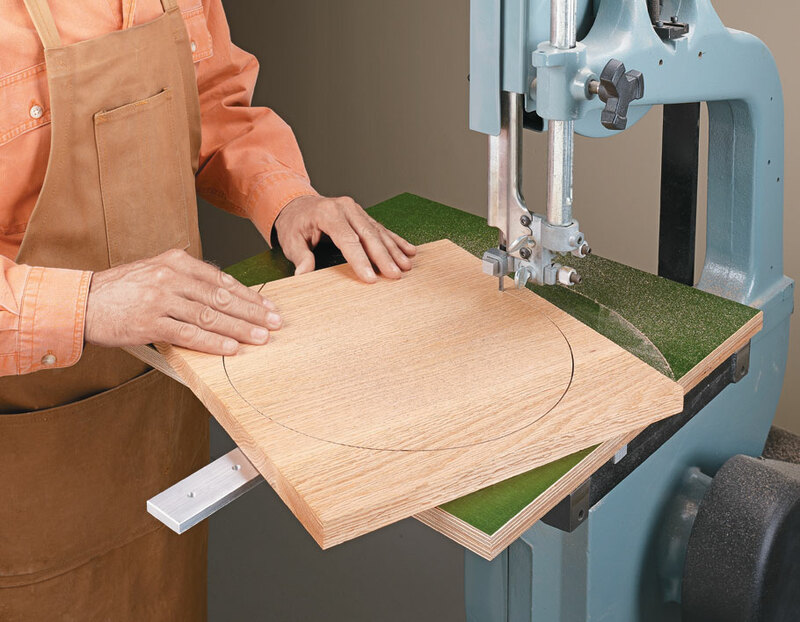 Its durable, slick surface is perfect for supporting the workpiece as you rotate it through the cut. 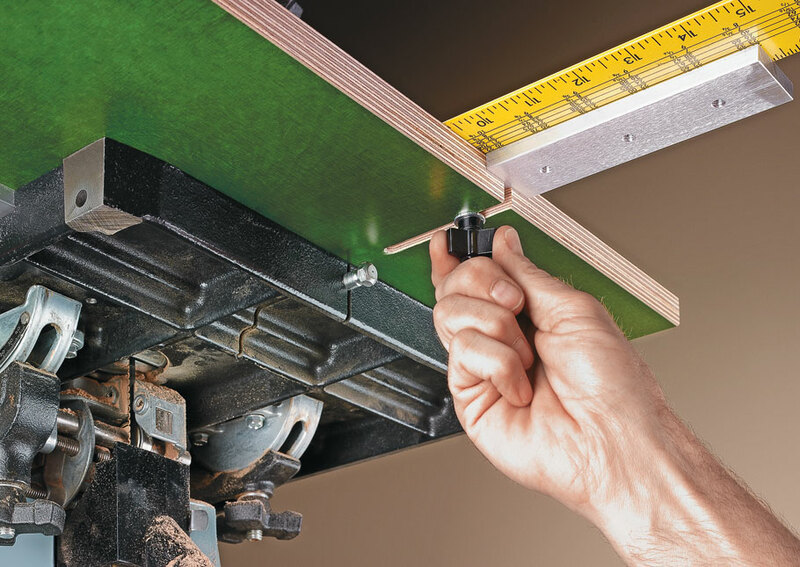 An adjustable pivot pin on a heavy-duty aluminum bar allows you to cut circles up to 38" in diameter. 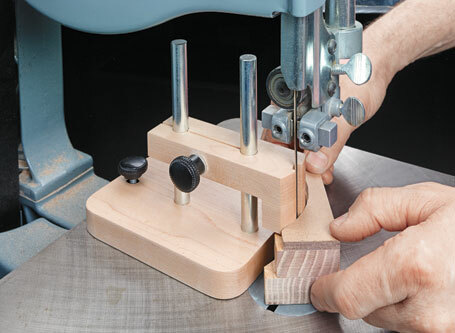 Finally, a unique stop system lets you align the pivot pin with the front edge of the blade. 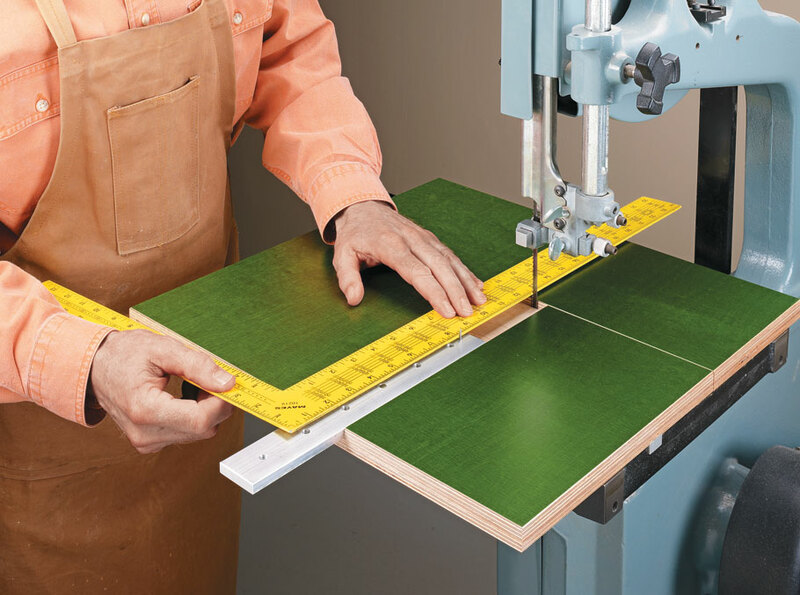 This addition to your table saw takes the hassle out of cutting long boards and sheet goods. 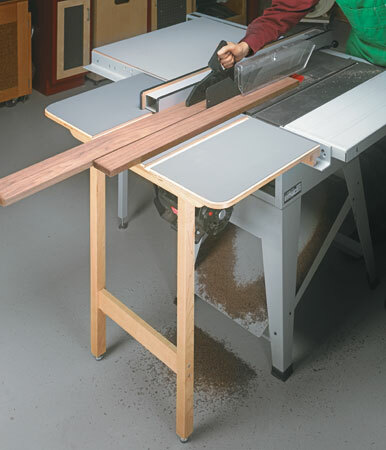 And it stores away easily when you’re done.